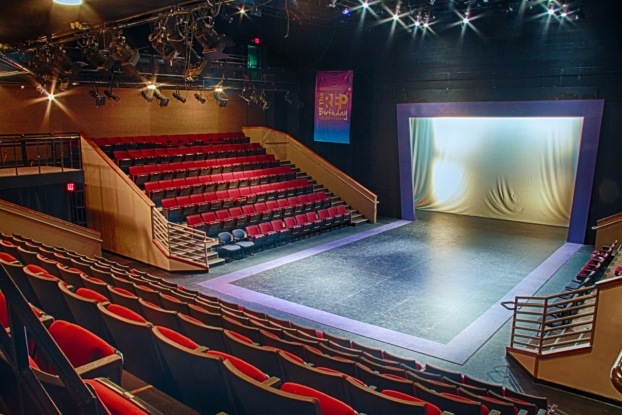 Have you ever considered Orlando Repertory Theatre to house your next event? Whether it is a corporate event, special party, live performance or even a photo shoot we have the perfect rental space for you at affordable pricing. Orlando REP offers a variety of rental opportunities, ranging from renting our facility spaces to costumes and props. No matter what your event, your guests will enjoy the convenience and attributes of one of the finest working theater complexes in Central Florida. As a working theater, productions and events are ever changing. Our expert event planning staff can suggest caterers and other service providers, or you may make your own arrangements. All events are expected to harmonize with the character and mission of Orlando Repertory Theatre, and must be approved by the Theatre. The Theatre reserves the right to refuse to make its facilities available to a prospective renter for any use it deems inappropriate at its sole discretion. Please note that the Theatre traditionally has a very full schedule which may preclude events lasting more than one day in our two largest theaters. Our Black Box Theater has much better scheduling flexibility. 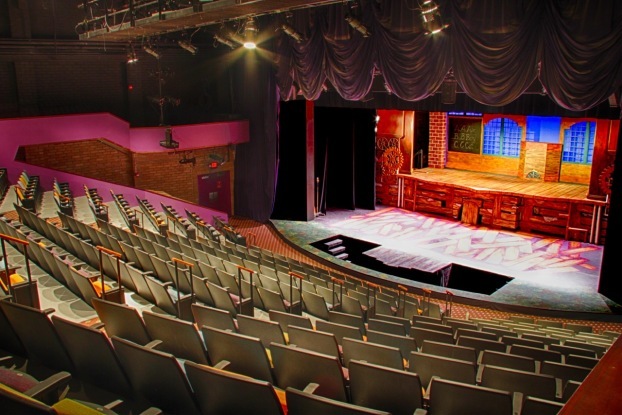 Orlando Repertory Theatre has three theaters, two lobbies, two rehearsal rooms and a complete prop shop. There are also green rooms and dressing rooms for each. The lobbies may be rented independently of the auditorium if the performance schedule permits. Sponsored by the Edyth Bush Foundation, the Edyth Bush Theatre and lobby space are the most publicly used space in the theatre complex. They host main stage productions of plays, community meetings, show-themed and family parties, summer camps, youth academy classes and camps, academic classes, rehearsals and event rentals. Hallway to Stage Dimensions: 8’4″ w x 18’8″ h x 20’4″ diag. Maximum distance from stage to most distant seat is approximately 45′ – 0″. Recently upgraded, the Edyth Bush Lobby may be rented independently of the auditorium if the performance schedule permits. It is a great location for small receptions and parties. There is a small kitchen as well as a built in reception desk available. Wheel chair position: The entire first rows on the 2 side sections are removable for wheel chair accessibility. Maximum distance from stage to most distant seat is approximately 30′ – 0″. 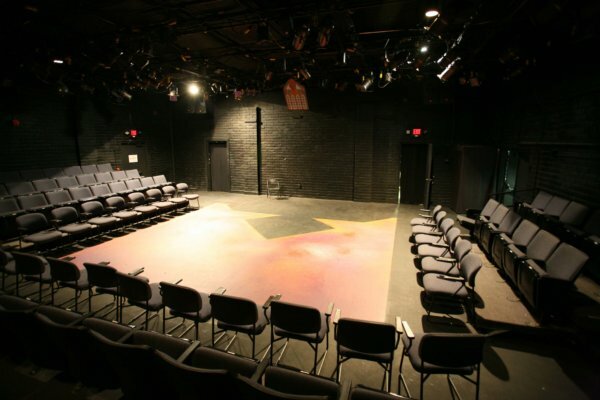 Orlando Repertory Theatre houses an intimate Black Box Theater with seating on three sides. You can envision the Black Box as a plain black canvas that may be decorated to your desire. The thrust seating allows you to manipulate the room to create your own dynamic space. Photographers appreciate the dark space and having the ability to be completely creative without having to mask the natural light. Backstage door into space: 5’10” w x 6’5″ t x 8’7″ diag. There are four fire exits that must remain unobstructed. Stage floor: 3/4″ tongue and groove over concrete with painted Masonite covering. Wheel chair position: The entire front row on all 3 sides is removable for wheel chair accessibility. Maximum distance from stage to most distant seat is approximately 20′ – 0″. Orlando Repertory Theatre welcomes all kinds of events. They are expected to harmonize with the character and mission of the Orlando Repertory Theatre. The Theatre reserves the right to refuse rental to a prospective renter for any reason it deems inappropriate at its sole discretion. All rentals are secondary to Orlando Repertory Theatre productions. Dependent upon scheduling and availability you are welcome to host your event on an existing Orlando Repertory Theatre production set. However, we can accommodate modifications or alterations to the scenic design. All event times, dates, location, and personnel availability are subject to change until contract is completed by both parties. Lessor must provide a Certificate of Insurance naming Orlando Repertory Theatre as an additional insured in an amount not less than one million dollars ($1,000,000) for bodily injury and property damage two weeks prior to the event. Effective dates must be clearly identified. If you do not have an easily attainable certificate, Orlando Repertory Theatre can provide one for a fee. 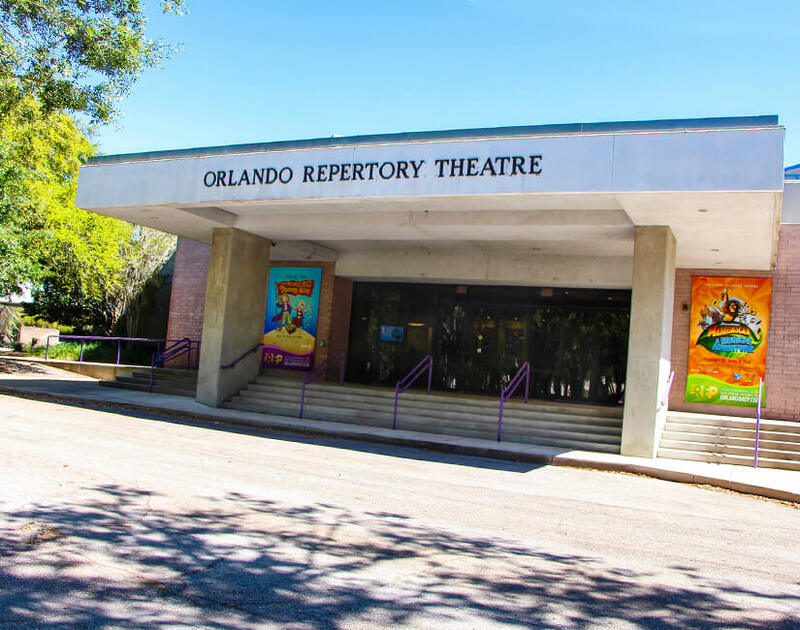 Any type of damage to Orlando Repertory Theatre property or equipment must be reported immediately to facility personnel present at the event. The Licensee and/or his representative shall meet with a representative of the Theater prior to load-in. All events are subject to custodial fees. Additional venue reset fees may be charged as necessary and as determined by the Facility. Parking is free and available on a first come first served basis. All parking lots in Loch Haven Park are owned by the City of Orlando and shared with other Orlando Loch Haven Park residents. As such there is no guarantee that parking for your event will be available. Please contact the rental manager to assist in coordinating parking or to seek offsite alternatives. All food must remain in the lobby or main entranceway. No food is permitted in any of the theaters without written consent of the Executive Director. Each organization is responsible for making arrangements with caterers. All alcoholic beverages must be supplied by a licensed and insured provider of alcoholic beverages. Bartenders must be arranged through the insured service provider. Orlando Repertory Theatre encourages responsible drinking and prohibits the use of alcohol by anyone less than 21 years of age. It is the responsibility of each organization to enforce these regulations. Any renter planning telephone solicitation for their event is prohibited from using the box office or any other spaces at the Facility for same. The Lessee must also agree to supply a contact name and number to the box office for redirect of potential phone inquiries. In no circumstance will the Facility phone number be used for promotion of the event. As Orlando REP does not co-produce any rentals, the Orlando Repertory Theatre logo may not appear in any promotional materials. For the purposes of directing your attendees, please only utilize the facilities address and title. All rentals are based on an hourly rental rate. All rental charges will start from the time the first person enters the building until the last person leaves. The Theatre at no time guarantees the use of storage space for multi-day events. As the amount of storage space is limited, items will only be allowed to be stored on a case by case basis. Typically, the theater cannot store items such as pianos, drum kits, riser systems, or tables and chairs overnight. These items will need to be removed from the building at the end of each day. The Licensee is responsible for the selection of background music and musical entertainment. It is also the responsibility of the Licensee to provide any background music on CD format. The Licensee must provide all equipment needed for recording. All additional cable and adapters must be provided. Licensee is responsible for securing the rights to any copyrighted materials to be used in their event or production. Any equipment (i.e. projectors, lighting, sound system) requiring electrical connections of voltage higher than 110 volts will not be permitted. Theatrical events needing additional electricity will be subject to approval by the Facilities Manager. It is the responsibility of the Licensee to provide all necessary extension cords, power strips, or other electrical cable.